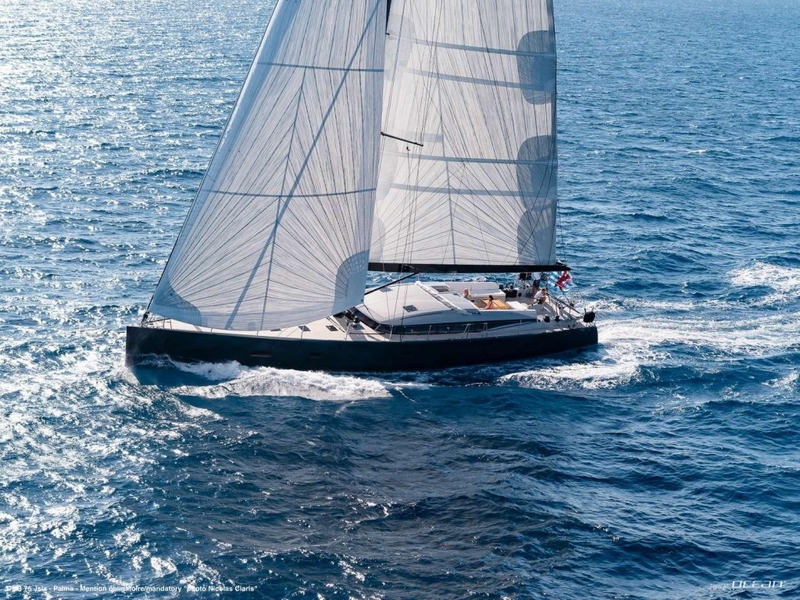 We are proud to welcome another CNB 76 joining our luxury sailing yacht fleet in the Mediterranean: charter yacht J SIX. 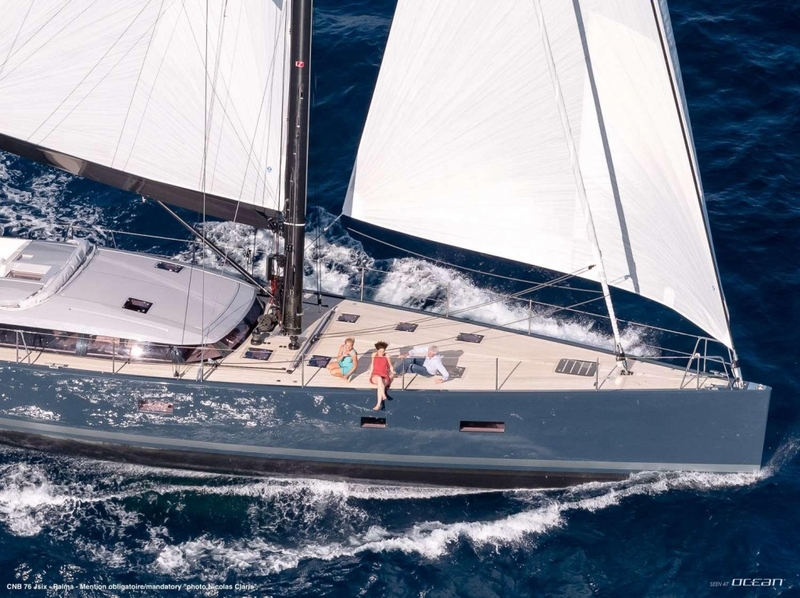 Charter yacht J SIX scores with modern exterior lines which are clean but dynamic at the same time. 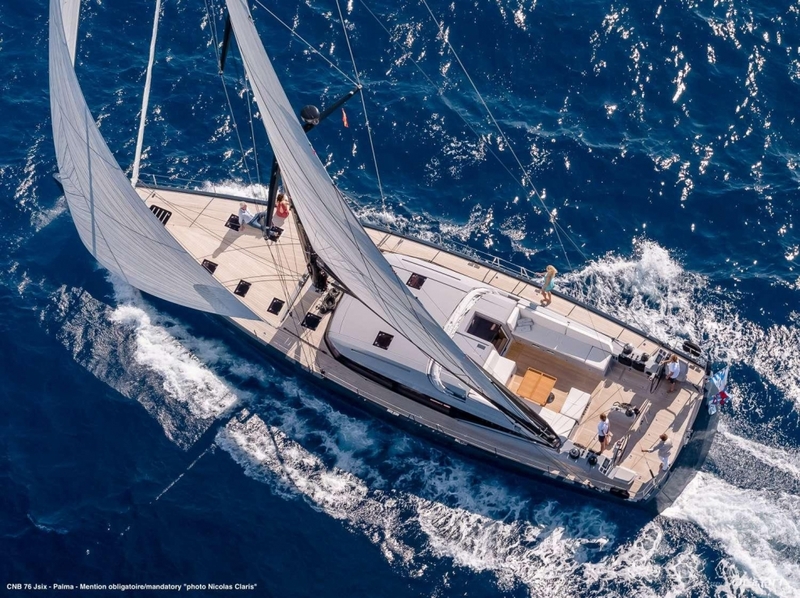 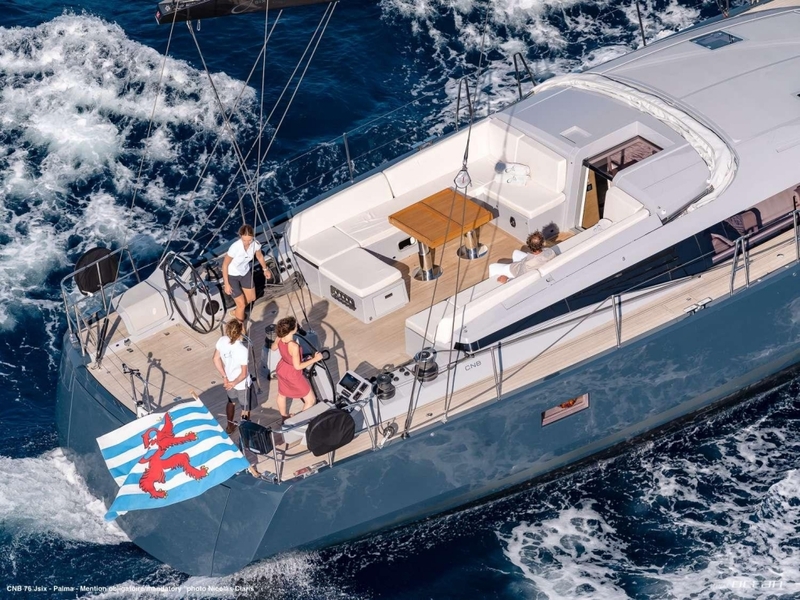 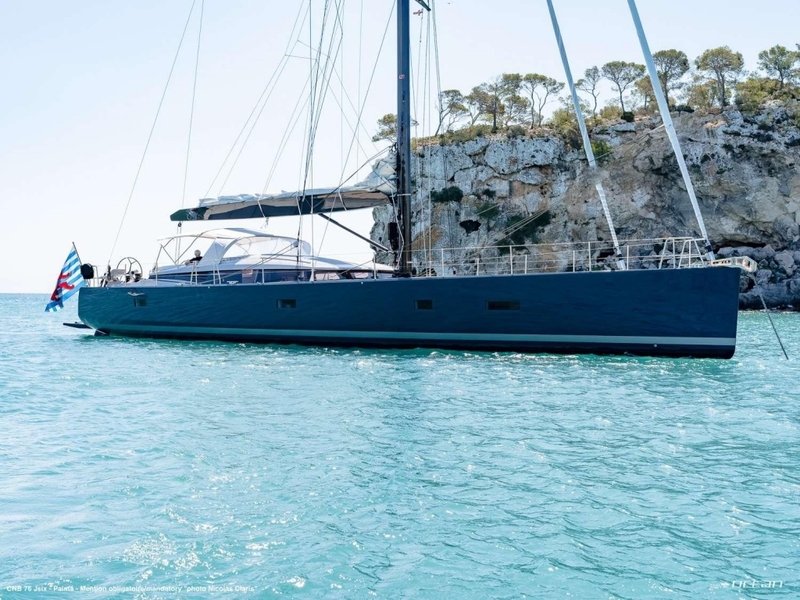 Characterized by a stunning blue-grey hull color she is setting herself apart from other luxury sailing yachts available for charter in the Mediterranean. 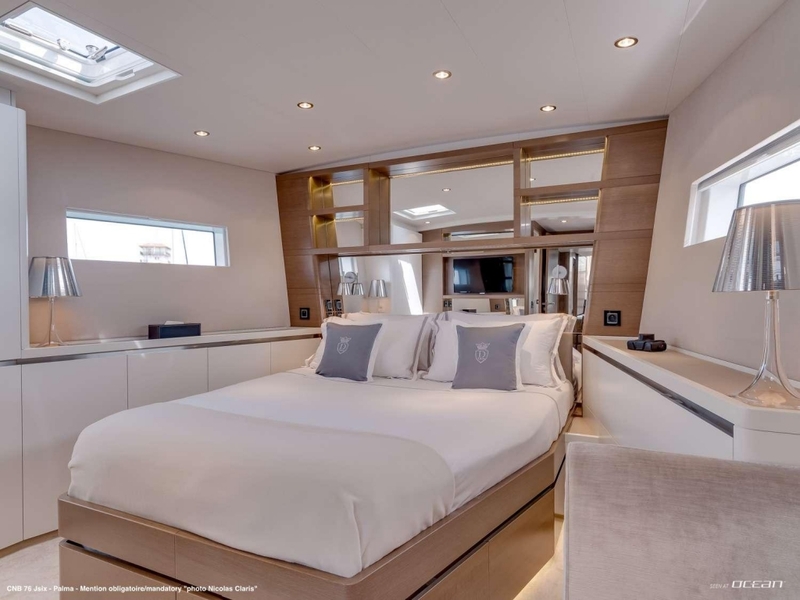 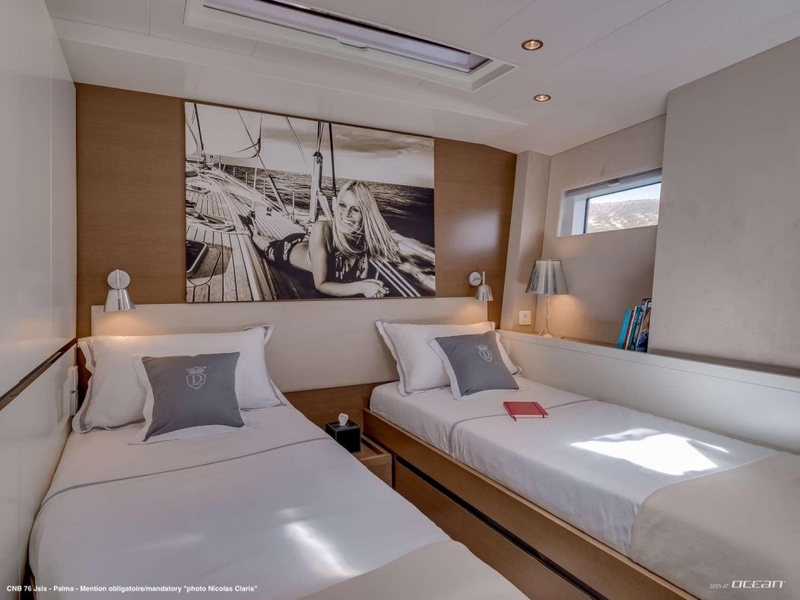 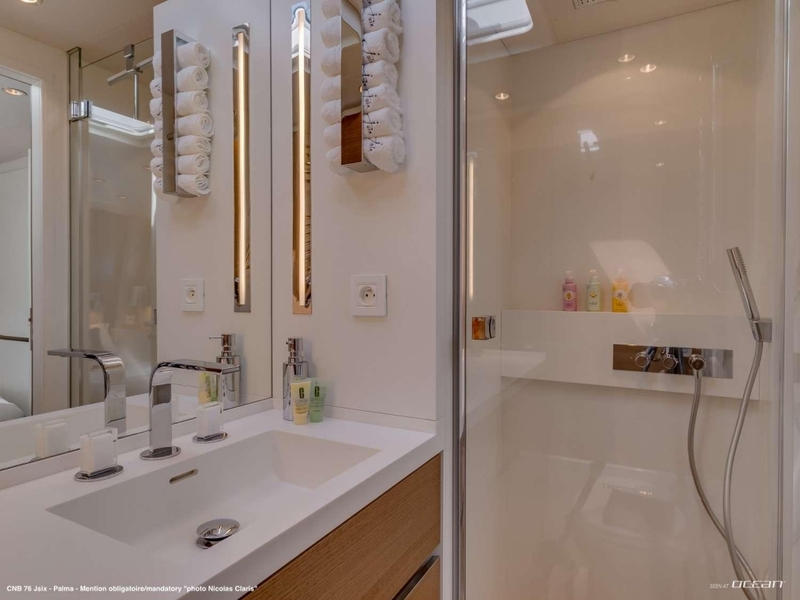 Boasting cozy and welcoming interiors, functional living spaces with panoramic views and well-appointed 3 cabins for up to 6 guests she accommodates most demanding guests in luxury and style. 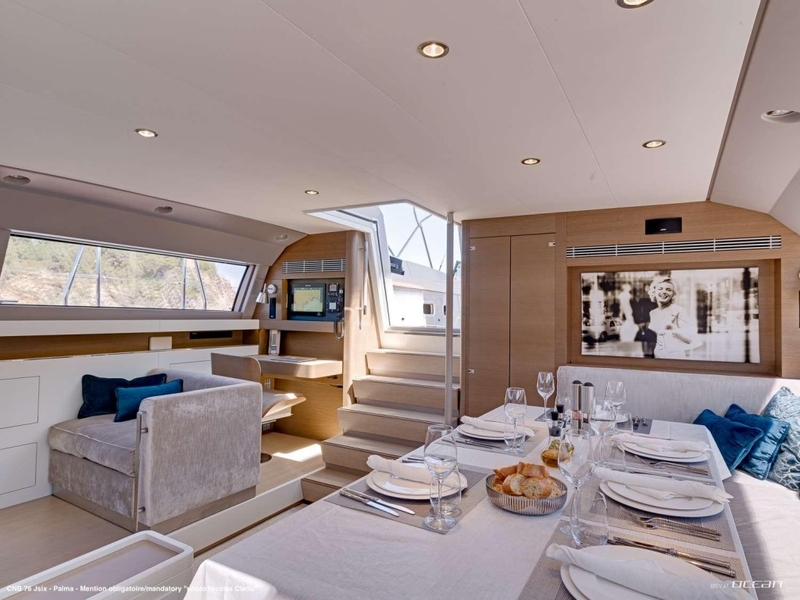 Offering a large forward master cabin, with a spacious double cabin convertible into a twin and a third guest bunk bed cabin, J SIX is versatile providing the perfect layout families and couples. 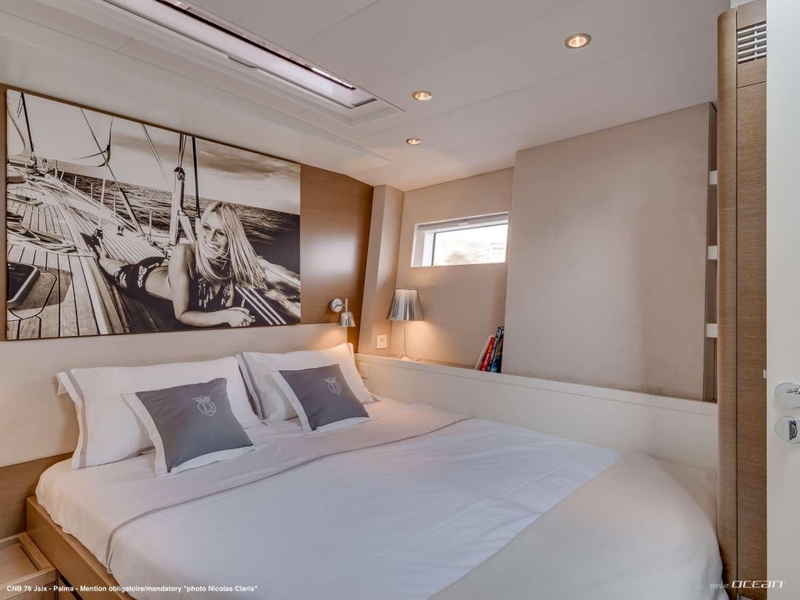 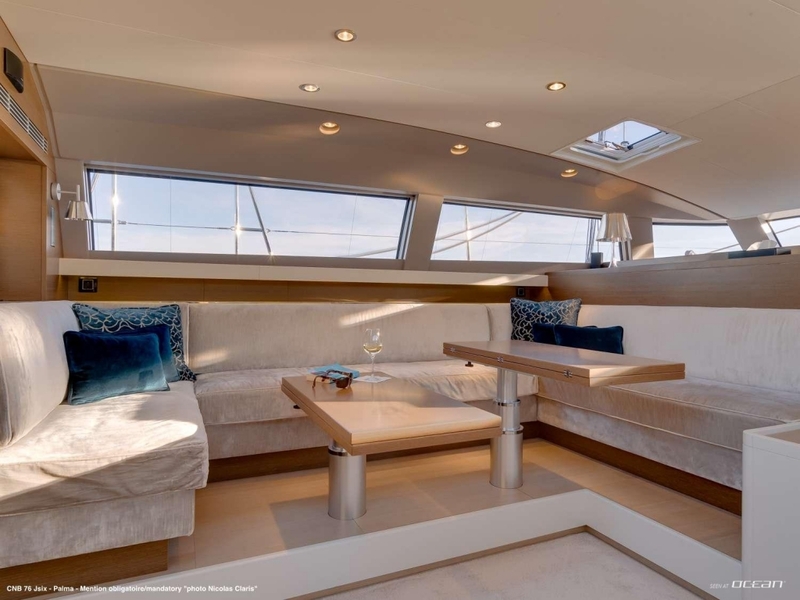 CNB 76 yacht J SIX is a perfect 23 luxury cruiser perfect to entertain guests. 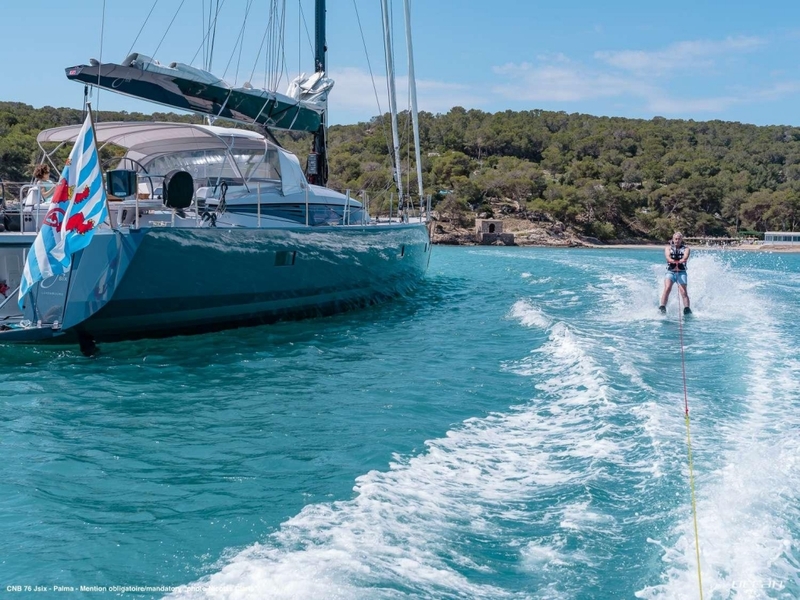 Water toys are part the offer comprising water-skis for adults and children as well as towables, the swimming platform of SIX luxury yacht will be ideal to launch the toys and to enter the sea safely. 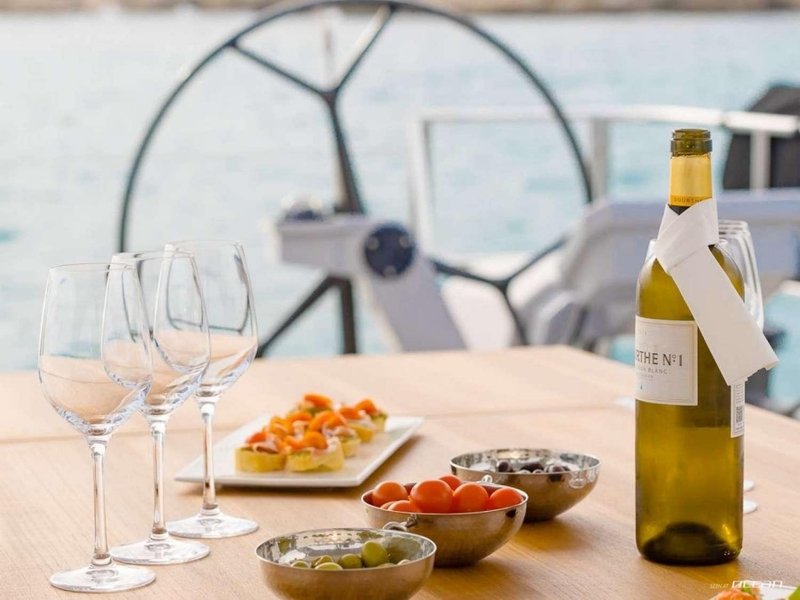 If you add our impeccable crew compromising a captain, hostess, and chef, it is clear that J SIX is one of the most compelling CNB 76 charter yachts today. 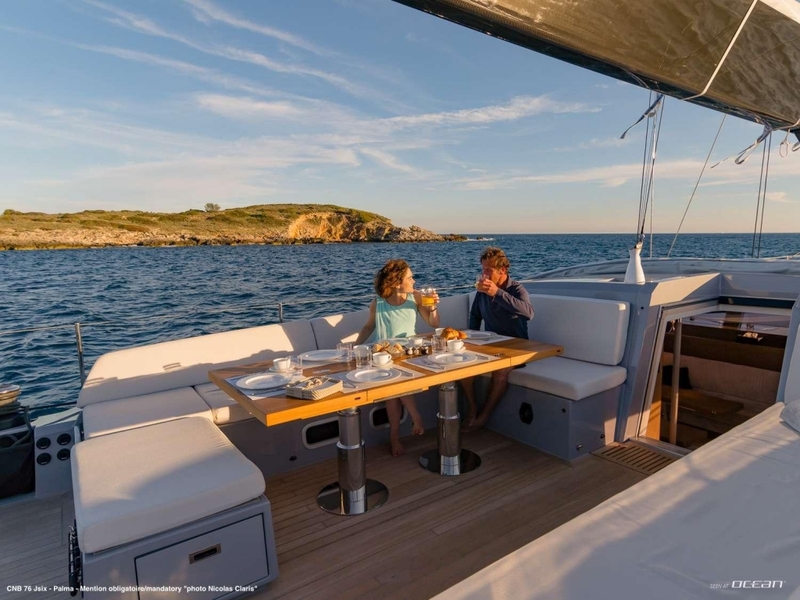 Book this CNB 76 throughout the Western Mediterranean and send us your inquiries now to avoid disappointment for prime dates later. 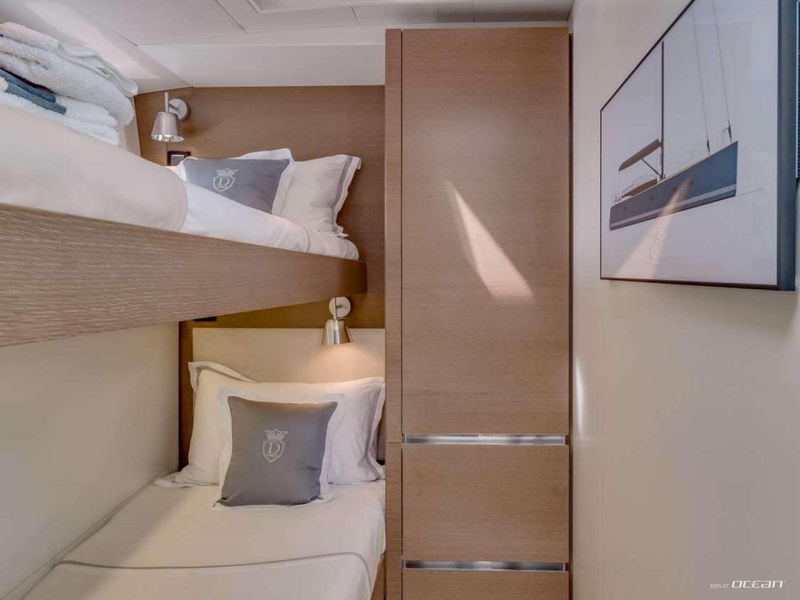 Cabin configuration: 1 master (with queen size bed), 1 double cabin with queen size bed convertible into 2 twin beds and 1 bunk bed cabin. 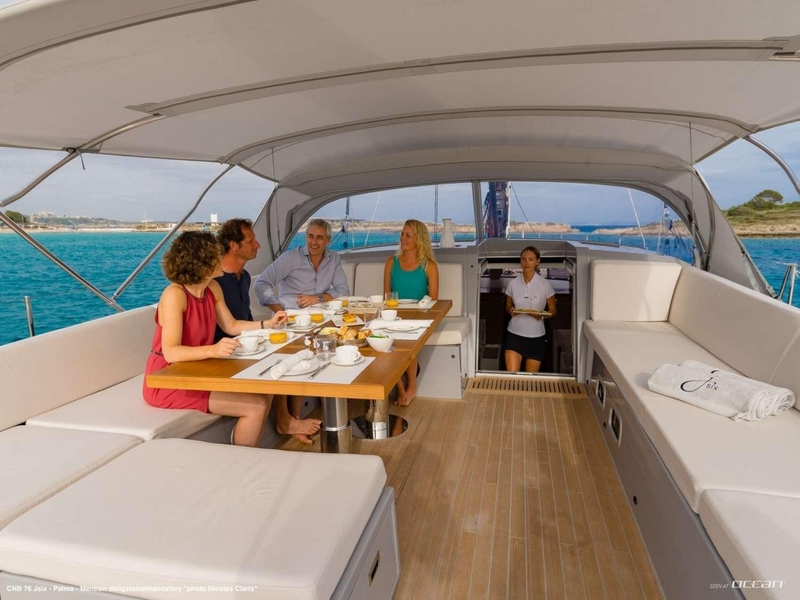 Air condition, generator, inverter, water maker, ice maker, additional cockpit fridge, Wi-Fi on board, 220V shore power, LED-TV, DVD-player, wireless cockpit speakers, swimming platform, stern/cockpit shower, sunbathing cushions, hairdryers, bimini, dinghy with outboard engine and all standard charter and safety equipment. 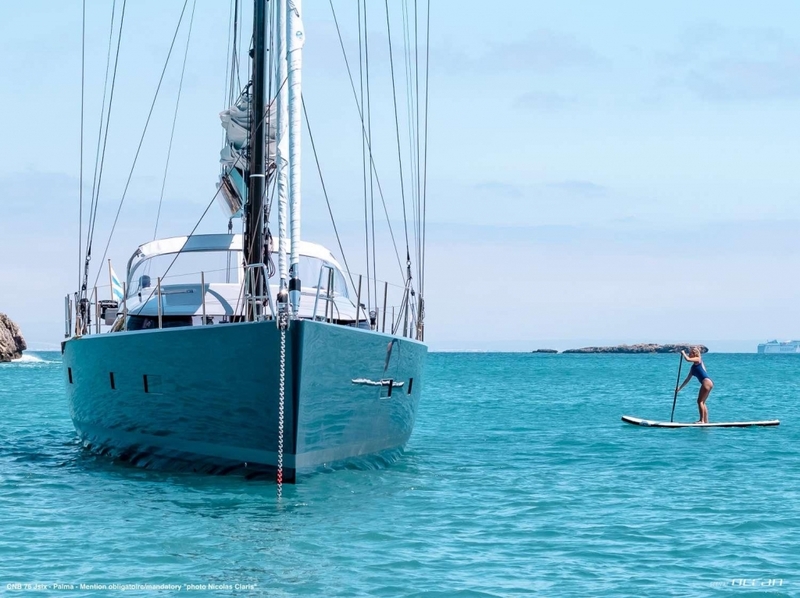 Sports equipment: Exercise mats, Skipping rope, Pull up straps, Light rubber hand weights and Foam Roller.